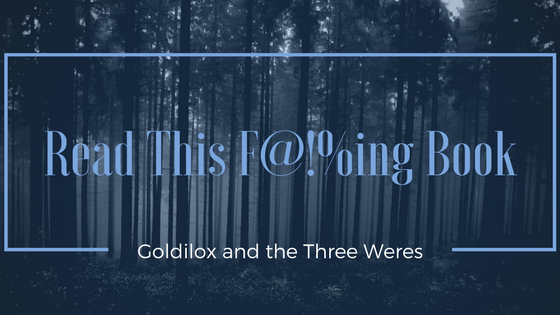 Goldilox Goes To Youtube - Summer 2016 Book Releases! Hey booklovers, Goldilox here! I'm really excited to share with you that I've started a brand new channel on youtube for all things bookish! I recently took a back seat in blogging for a few months, and during that time I experimented with another youtube channel that you may have seen me talk about on my social media, but I really missed my bookish roots! So, I'm getting back to my origins, and I've created an all new channel directly connected to the blog. 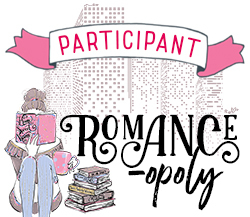 If you love our blog, please check out the new channel, and I hope you enjoy this new way that I'll be bringing book related content to you. And don't worry about the blog, it isn't going anywhere at all! 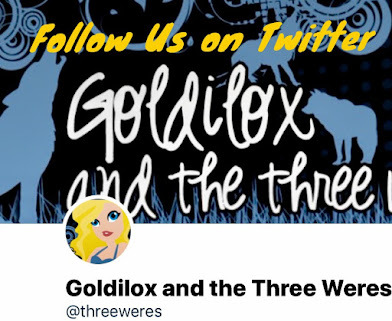 Goldilox and the Three Weres is still going strong and we'll still be here for you with just as many posts as always if you prefer the blog format. Did you know Booktube was a THING!? 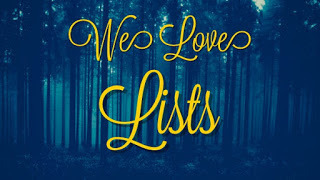 When I started this blog five years ago, I didn't really understood what a huge and intricate world book blogging was. Now I know what a wonderful thing the blogosphere is. 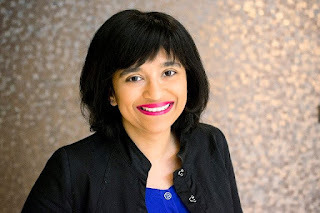 I've been able to interview some of my favorite authors of all time and meet others in person, and I've built amazing friendships with other bloggers and book lovers. Now, book blogging has expanded and taken the next logical step...videos! Booktube is the youtube equivalent of book blogging, for the most part. 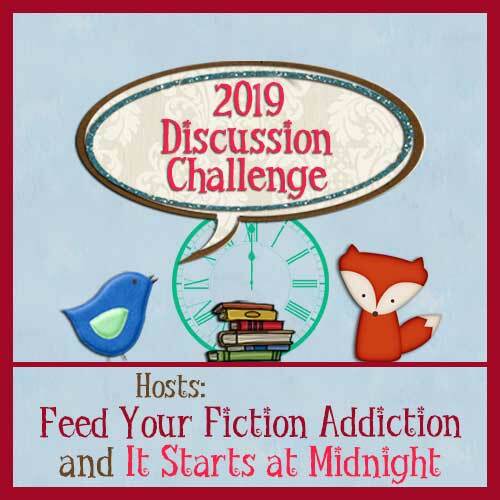 I'm really looking forward to reviewing books, dishing about cover reveals, sharing countdowns and top lists, discussing book related fandoms, etc. all in a new format! Below is the first video for the new youtube channel. Please check it out and if you like it, subscribe to the channel, give the video a thumbs up, or leave a comment here or on the video page on youtube! I'll share future videos that are about bookish things here on the blog so you don't miss out on anything. The Summer 2016 Book Releases I'm Most Excited About! You guys! 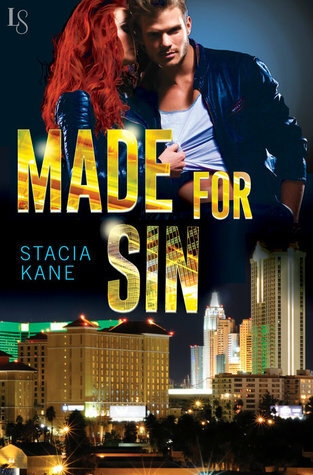 Stacia Kane has a new book coming this summer! That's really all I needed to know to one-click, but I'll tell you a little more anyway. It's NOT a Downside novel. But it does feature characters who live in the grey areas. It's got magic and demons and a heroine who sounds a little like a couple of other artifact-thieving ladies that I'm quite fond of. It's always sad when one of our favorite series comes to an end. But we've also been eagerly awaiting St. John Evernight's story ever since we met him. 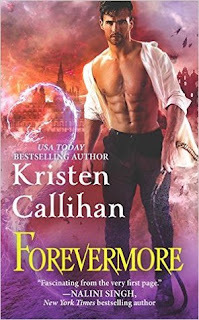 In the Darkest London series finale, Forevermore, Kristen Callihan gives us Sin in all his glory, tells us more about the world's angels and demons, and ties up some loose ends for a couple from a previous book. We're excited to be part of the Release Day Blitz and bring you more of Forevermore. Keep reading for an excerpt and your chance to win your very own copy of the book. You might also want to check out Rose Red's 4.5 star review. Today is both a sad and glorious day. Good news is Forevermore is out and we finally get St. John's story! Sad news is that this is the last book in one of my favorite series. HOW IS IT OVER ALREADY? I am not ready to say goodbye to this world and these characters. I don't know if I've said this recently but it is seriously hard to review the last book in a series without spoiling things. I enjoyed the hell out of this book but I did have some issues with it. Aside from the main plot that revolves around St. John and Layla, there are a couple of subplots, one involving Augustus and the other involving Archer. With all the major players from St. John's family making an appearance, we discover just how much Augustus has had a role in how each of their lives has played out. I loved that we finally learned more about Augustus. He's intrigued me since the first time he showed up. I liked that everything tied together at the end, but the resolution felt too neat and convenient to me. The ending seemed to come out of left field. Maybe it wouldn't have if I'd been able to reread the previous books before reading this one. I'll be the first to admit that there may be quite a bit I've forgotten. That's my biggest complaint about this book but it didn't really affect how much I enjoyed the story and the romance overall. I was practically on the edge of my seat trying to figure out how everything would be resolved and read the whole thing in one sitting. I can honestly say that I didn't see the ending coming. 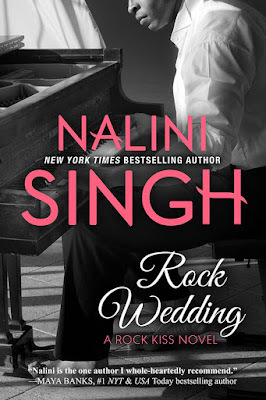 What I enjoyed the most about this book was St. John and Layla's relationship. They were childhood friends who were separated from each other in their teen years. There are a few flashbacks from when they were children to help show how their bond came into being. Most of their attachment to each other had already happened off page, but I really enjoyed how they interacted together. They loved each other as kids and never moved on. Unfortunately, a lot has happened since they were separated and they're different people. St. John feels like his past mistakes make him unworthy of love and this is only heightened by his family's abandonment of him after they discovered his tie to Mab. It really irritated me that his family didn't let him explain but immediately thought the worst of him. It made Layla's acceptance of him even more sweet. My second and only complaint is that Holly and Will didn't have an appearance. It's a petty complaint but they're my favorite couple in the series. I'll always want more of them. One book wasn't nearly enough. The only other couple who didn't get page time was Adam and Eliza but it makes sense why they didn't after the events of Soulbound. Forevermore is the last of the series and it was a solid ending. I can't stop myself from hoping that with how this book ended that we'll get more books in this world. Maybe a contemporary urban fantasy spin-off set 100-150 years later? I just want more stories in this universe, okay? I highly recommend this series to those who enjoy a combination of paranormal, historical, steampunk, and romance in their books. The Darkest London series is one of the best series out there for it! 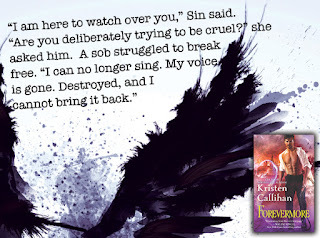 For more on Forevermore and the Darkest London series, including an excerpt and a chance to win a copy of the book, check out our blog tour stop. Here's the cover for Archangel's Heart! You can find all of the links to pre-order the book HERE. Add Archangel's Heart on Goodreads. 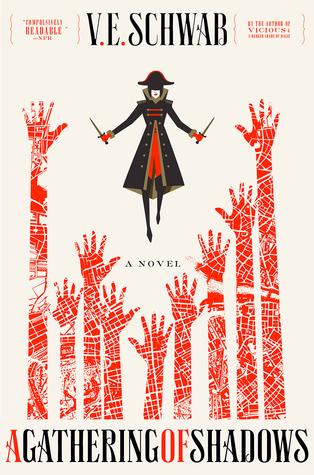 You can check out our Read This F@!%ing Book post for the Guild Hunter series here. Weres Wanna Know: Should I be listening to audiobooks? 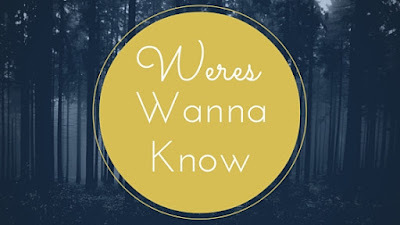 Weres Wanna Know is a new discussion feature where we share a topic that's been on our minds and invite you to share your thoughts as well. We usually post them on Fridays but we've got something special in store tomorrow so I'm doing it a little bit early this week. But a few weeks ago I went on a binge and read four books in three days. (No way you could do that with audiobooks, right?) For a week afterward, I couldn't hold my iPad long enough to read my Twitter feed, much less another book, because of pain in my wrists. There went all that ground I made up on my Goodreads goal! And that got me thinking maybe it's time to give this audio thing a try. Should I be listening to audiobooks? But I'm still hesitant because I don't know what I'm supposed to do while I listen. I don't have a long commute but even if I did, the car is the only place I really listen to music and I don't want to give that up. I could see drawing or knitting while listening, but both of those would be counterproductive if I'm trying to spare my wrists. And I'm not good at paying attention to two things at once. If I get on the internet during a commercial break, I don't always notice when the show comes back on. So am I just supposed to stare at the ceiling for three days while I listen to a book? Somebody please explain this whole thing to me. What do you do while you're listening to audios? How does it change your reading experience? And if I were going to start, what books would you recommend? 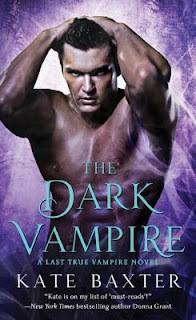 I have adored the whole Darkest London series by Kristen Callihan! It's been full of paranormal aspects that I haven't seen before and it has had lots of excellent characters. I'm so excited because this book is about St. John! I can't wait to learn more about him especially after the deal he made in the last book! At the same time, I'm sad because this is the last book in the series. I'm not ready for it to end! And now the moment you've been waiting for. . . 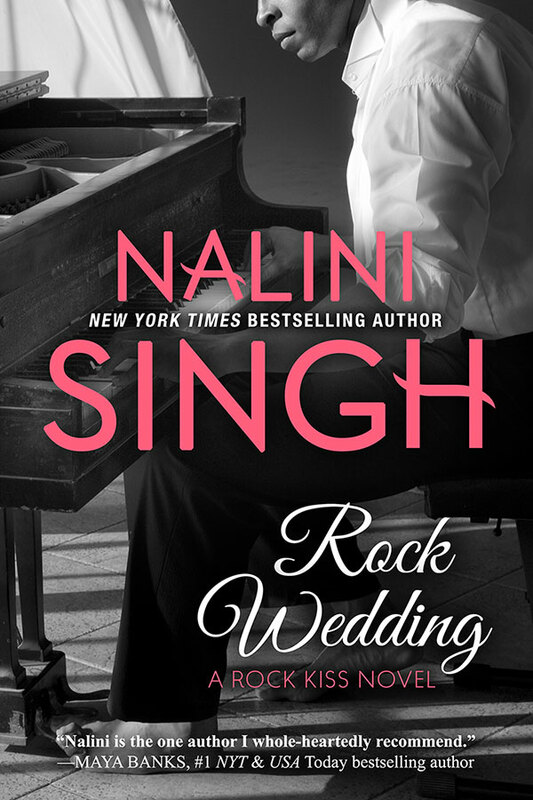 Here's the cover for Rock Wedding! You all know how much I love my paranormals, but sometimes it all starts to blur together. My go-to rut buster is usually romantic suspense. It's like an action movie in book form. 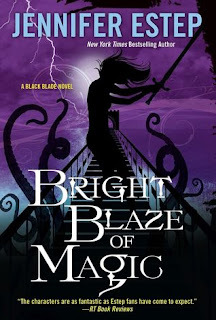 Two of my fave series have new releases this summer. I loved the Idaho town where Livy was hiding out from that MC. Baxter has actually used it in her books before, but this time it was winter and she was at a ski resort and I just loved it. (So much that I said it twice.) I liked Livy's backstory as a competitive skier, which was something I haven't seen before. And I basically liked Livy, but Nick was not as well developed. Outside of the bedroom, he just wasn't that interesting. 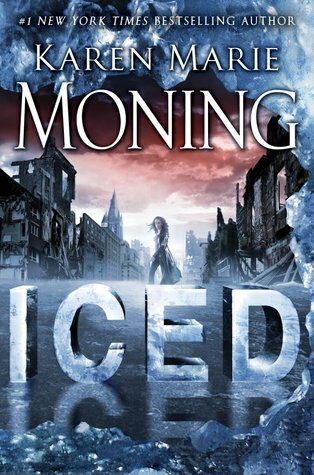 Like with previous books in the series, all of the action scenes are at the end. It makes for an exciting conclusion, but I wish there was more happening throughout the book. Still, I'm enjoying the U.S. Marshals series and I'm looking forward to the next book. Someone is trying to kidnap Maddy Powers. Again. (Her yacht was hijacked in the first book of the series.) That entire plot could have been repetitive and boring, but Walker made it feel fresh. (Though maybe not so much for Maddy.) 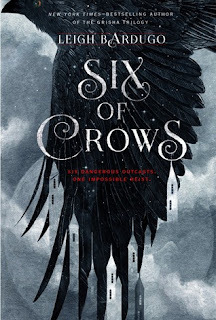 I'm always a fan of friends-to-lovers stories and I liked how Maddy and Bran had built their friendship in the months between books, as well as the way the romance developed here. Like with many of Walker's books, the secondary characters seem to be starting a relationship of their own. Usually they become the main characters in the next book. In this one, they seem to get even more time on the page than normal, which I was totally fine with. I really liked Mason and Alex and I'm looking forward to the rest of their story. I also liked the villains more than I usually do. Not that I think they're nice people, but I think they were well-developed. Usually we know exactly who the bad guys are, but not exactly what their evil plan is. This time that was reversed, which I thought was a nice change. Walker's Black Knights series and this spin-off are some of my favorite Romantic Suspense reads. I devoured this one in a single sitting. I recommend you go preorder it right now.